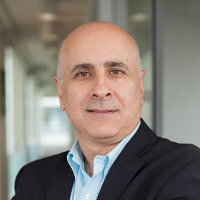 Amir Alizadeh is Professor of Shipping Economics and Finance and a member of faculty at the Costas Grammenos Centre for Shipping Trade and Finance. Currently, he lectures in Advanced Quantitative Methods, Shipping Investment and Finance, Oil and Energy Transportation & Logistics, Econometric Modelling, Shipping Risk Management, Energy & Weather Derivatives, and Energy Project Investment and Finance. His research interest includes, modelling freight markets and markets for ships, derivatives and risk management in financial and commodity markets, and forecasting. He has published in several academic journals in the area of transportation, finance and economics. He also has visiting positions at University of Geneva and Copenhagen Business School and the ESCP Europe. He also serves on the Editorial Board of Transportation Research Part E, Maritime Policy and Management, Maritime Business Review, Journal of Multinational Finance, and Logistics, while is a member of the scientific committee of the Swiss Research Institute on Commodities (SRIC). He has been in close contact with the industry, acting as an adviser and consultant for a number of the trading and shipping companies and institutions including the A P Moller Maersk, Baltic Exchange, Danish Maritime Cluster, OW Bunker, Overseas Shipholding Group, Swiss Shipping and Trading Association (STSA), Barclays Capital, Standard Chartered Bank, Basset & Gold, NGL Strategy, among others. MSc (City) and PhD (City). Persian (can read, write and speak). Alizadeh, A.H. and Nomikos, N.K. (2009). Shipping Derivatives and Risk Management. El Agraa, (Ed. ), Palgrave-McMillan. ISBN 978-0-230-21591-7. Alizadeh, A.H. and Nomikos, N. (2011). An investigation into the effect of risk management on the profitability of shipping investment and operations. In Cullinane, K. (Ed. ), (pp. 121–143). EDWARD ELGAR PUBLISHING LTD.
Alizadeh, A.H. and Nomikos, N. (2010). An Overview of the Dry Bulk Shipping Industry. In Grammenos, C.T. (Ed. ), The Handbook of Maritime Economics and Business London: Lloyd's List. Nomikos, N. and Alizadeh, A.H. (2010). Managing Freight Rate Risk using Freight Derivatives: An Overview of the Evidence. In Grammenos, C.T. (Ed. ), The Handbook of Maritime Economics and Business London: Lloyd's List. Nomikos, N. and Alizadeh, A.H. (2002). Risk Management in the Shipping Industry: Theory and Practice. In Grammenos, C.T. (Ed. ), The Handbook of Maritime Economics and Business (pp. 693–730). London: LLP Professional Publishing. ISBN 978-1-84311-195-5. Nomikos, N.K. and Alizadeh, A.H. (2002). The Dry Bulk Shipping Market. In Grammenos, C.T. (Ed. ), The Handbook of Maritime Economics and Business (pp. 227–250). London: LLP Professional Publishing. ISBN 978-1-84311-195-5. Alizadeh, A.H. and Nomikos, N.K. Ship Finance: Hedging Ship Price Risk Using Freight Derivatives. The Blackwell Companion to Maritime Economics (pp. 433–451). Wiley-Blackwell. ISBN 978-1-4443-3024-3. Alizadeh-Masoodian, A.H. (2015). Ship Valuation and Investment Strategies: The case of dry bulk carriers. Global Shipping Trends & Trade Patterns 28-29 April, London. Alizadeh-Masoodian, A.H., Thanopoulou, H. and Yip, T.L. (2015). Dynamics of Ship Prices: A Behavioural Finance Approach. IAME Annual Conference 2015 Kuala Lumpur, Malaysia. Alizadeh-Masoodian, A.H., Thanopoulou, H. and Strandenes, S.P. (2015). Capacity retirement in the dry bulk market: A vessel based logit model. IAME Annual Conference 2015 Kuala Lumpur, Malaysia. Alizadeh-Masoodian, A.H., Van Dellen, S. and Huang, C. (2015). A New Regime Switching Approach for Hedging Tanker Freight Rates. IAME Annual Confernece 2014 2014, Norfolk, Virginia, USA. Alizadeh-Masoodian, A.H., Kappu,, K., Tsouknidis, D. and Visvikis, I. (2014). Liquidity Risk Premia in Shipping FFA Market. IAME Annual Conference 2014 Norfolk, Virginia USA. Alizadeh-Masoodian, A.H. (2014). Decision to Layup ships under the assumption of stochastic freight rate and volatility. IAME Annual Conference Norfolk, Virginia USA. Alizadeh, A. and Nomikos, N. (2005). Investment Timing and Trading Strategies in the Sale and Purchase Market for Ships. International Association of Maritime Economists - paper was awarded "Most Innovative Paper Prize" Cyprus. Tamvakis, M., Jia, J. and Alizadeh, A. (2004). Cost of Carry and Regime Shifts in the Commodity Futures Market. European Financial Management Association Basel, Switzerland. Adland, R., Koekebakker, S. and Alizadeh, A. (2004). Predictability and Unbiasedness of Implied Forward Charter Rates. International Association of Maritime Economists Izmir, Turkey. Papapostolou, N., Grammenos, C.T. and Alizadeh, A. (2004). Factors Affecting the Dynamics of Yield Premia on Shipping Seasoned High Yield Bonds. International Association of Maritime Economists (IAME) Izmir, Turkey. Alizadeh, A., Lin, S. and Nomikos, N. (2004). Effectiveness of Oil Futures Contracts for Hedging International Crude Oil Prices. Multinational Finance Society Conference Istanbul, Turkey. Nomikos, N. and Alizadeh, A. (2003). Efficiency of Electricity Futures Prices; Evidence from the Nord Pool Exchange. 10th Annual Conference of the Multinational Finance Society 28 Jun 2003 – 2 Jul 2003, Montreal, Canada. Nomikos, N. and Alizadeh, A. (2003). Market Conditions and Stock Indices Hedging; A Markov Regime Switching Approach. Multinational Finance Society Montreal, Canada. Nomikos, N. and Alizadeh, A. (2003). Unbiasedness of Bunker Forward Contracts. International Association of Maritime Economists. Alizadeh, A., Visvikis, I. and Batchelor, R. (2003). Forecasting performance of spot and forward prices in the freight market. International Symposium on Forecasting Merida, Mexico. Nomikos, N. and Alizadeh, A. (2002). Cost of Carry, Causality and Arbitrage between Oil Futures and Tanker Freight Markets. IAME Panama. Kavussanos, M. and Alizadeh, A. (2002). Efficient Pricing of Assets with Terminal values. Multinational Finance Society conference Paphos, Cyprus. Nomikos, N. and Alizadeh, A. (2002). Market Conditions and Stock Indices Hedging; A Markov Regime Switching Approach. International Conference on: Modelling Structural Breaks, Long Memory and Stock Market Volatility Cass Business School, London, 6-7, December 2002. Nomikos, N. and Alizadeh, A. (2002). The Price Volume Relationship in the Sale and Purchase Market for Dry Bulk Vessels. IMAE conference Panama. Kavussanos, M. and Alizadeh, A. (2001). Efficient Pricing of Ships in the Dry Bulk Market. Nominated as the Best paper in the conference. IMAE conference Hong Kong. Kavussanos, M., Menachof, D. and Alizadeh, A. (2001). Hedging Against Bunker Price Fluctuations Using Petroleum Futures Contracts; Constant versus Time-varying Hedge Ratios. Nominated as the Best paper in the conference. IMAE conference Hong Kong..
Kavussanos, M. and Alizadeh, A. (2001). The Expectations Hypothesis of the Term Structure in Dry Bulk Shipping Markets. WTCI conference South Korea. Kavussanos, M. and Alizadeh, A. (2000). Present Value Models, the Efficient Market Hypothesis and Risk Premia in the Market for Dry Bulk Carriers. Research Seminar City University Business School, London. Kavussanos, M. and Alizadeh, A. (2000). Seasonality Patterns in Tanker Spot Freight Rate Markets. IMAE conference, Naples, Italy. Kavussanos, M. and Alizadeh, A. (2000). The Expectations Hypothesis of the Term Structure in Dry Bulk Shipping Markets. Australasian Finance Conference Sydney, Australia. Kavussanos, M. and Alizadeh, A. (1998). Deterministic and Stochastic Seasonality in Shipping Freight Markets. International Conference on World Shipping Markets Facing the 21st Century and International Maritime Statistics Forum (IMSF) Shenzhen, China and Cardiff, UK. Adland, R. and Alizadeh, A.H. (2018). Explaining price differences between physical and derivative freight contracts. Transportation Research Part E: Logistics and Transportation Review, 118, pp. 20–33. doi:10.1016/j.tre.2018.07.002 . Alizadeh, A.H., Thanopoulou,, H. and Yip,, T.L. (2017). Investors' Behaviour and Dynamics of Ship Prices: A Heterogeneous Agent Model. Transportation Research Part E: Logistics and Distributions, (Forthcoming). Alizadeh, A.H., Strandenes, S.P. and Thanopoulou, H. (2016). Capacity retirement in the dry bulk market: A vessel based logit model. Transportation Research Part E: Logistics and Transportation Review, 92, pp. 28–42. doi:10.1016/j.tre.2016.03.005 . Alizadeh, A.H. and Tamvakis, M. (2016). Market conditions, trader types and price–volume relation in energy futures markets. Energy Economics, 56, pp. 134–149. doi:10.1016/j.eneco.2016.03.001 . Alizadeh, A.H., Huang, C.-.Y. and van Dellen, S. (2015). A regime switching approach for hedging tanker shipping freight rates. Energy Economics, 49, pp. 44–59. doi:10.1016/j.eneco.2015.01.004 . Alizadeh, A.H., Kappou, K., Tsouknidis, D. and Visvikis, I. (2015). Liquidity effects and FFA returns in the international shipping derivatives market. Transportation Research Part E: Logistics and Transportation Review, 76, pp. 58–75. doi:10.1016/j.tre.2015.02.001 . Alizadeh, A.H. and Muradoglu, G. (2014). Stock market efficiency and international shipping-market information. Journal of International Financial Markets, Institutions and Money, 33, pp. 445–461. doi:10.1016/j.intfin.2014.10.002 . Alizadeh, A.H. and Gabrielsen, A. (2013). Dynamics of credit spread moments of European corporate bond indexes. Journal of Banking & Finance, 37(8), pp. 3125–3144. doi:10.1016/j.jbankfin.2013.02.030 . Alizadeh, A.H. (2013). Trading volume and volatility in the shipping forward freight market. Transportation Research Part E: Logistics and Transportation Review, 49(1), pp. 250–265. doi:10.1016/j.tre.2012.08.001 . Alizadeh, A.H. and Talley, W.K. (2011). Vessel and voyage determinants of tanker freight rates and contract times. Transport Policy, 18(5), pp. 665–675. doi:10.1016/j.tranpol.2011.01.001 . Alizadeh, A.H. and Talley, W.K. (2011). Microeconomic Determinants of Dry Bulk Shipping Freight Rates and Contract Times. Transportation, 38(3), pp. 561–579. doi:10.1007/s11116-010-9308-7 . Alizadeh-Masoodian, A. and Nomikos, N. (2011). Dynamics of the Term Structure and Volatility of Shipping Freight Rates. Journal of Transport Economics and Policy, 45(1), pp. 105–128. Alizadeh, A.H., Nomikos, N.K. and Pouliasis, P.K. (2008). A Markov regime switching approach for hedging energy commodities. Journal of Banking & Finance, 32(9), pp. 1970–1983. doi:10.1016/j.jbankfin.2007.12.020 . Alizadeh, A.H. and Nomikos, N.K. (2008). Performance of statistical arbitrage in petroleum futures markets. The Journal of Energy Markets, 1(2), pp. 3–33. doi:10.21314/jem.2008.006 . Alizadeh, A.H., Adland, R.O. and Koekebakker, S. (2007). Predictive power and unbiasedness of implied forward charter rates. Journal of Forecasting, 26(6), pp. 385–403. Alizadeh, A.H. and Verioti, C. (2007). Tanker Trends; Double Vision. Lloyd's Shipping Economist, 39173, pp. 23–26. Nomikos, N.K. and Alizadeh, A.H. (2007). Investment timing and trading strategies in the sale and purchase market for ships. Transportation Research Part B: Methodological, 41(1), pp. 126–143. Alizadeh, A.H., Grammenos, C.T. and Papapostolou, N.C. (2007). Factors affecting the dynamics of yield premia on shipping seasoned high yield bonds. Transportation Research Part E: Logistics and Transportation Review, 43(5), pp. 549–564. Alizadeh, A.H., Batchelor, R. and Visvikis, I. (2007). Forecasting spot and forward prices in the international freight market. International Journal of Forecasting, 23(1), pp. 101–114. Alizadeh, A.H. and Nomikos, N.K. (2006). Trading strategies in the market for tankers. Maritime Policy & Management, 33(2), pp. 119–140. doi:10.1080/03088830600612799 . Alizadeh, A.H. and Nomikos, N.K. (2005). Investing at the Right Time; A Trading Model for the Sale and Purchase Market for Ships. Lloyd's Shipping Economist, July. Alizadeh, A.H., Batchelor, R.A. and Visvikis, I.D. (2005). The relation between bid-ask spreads and price volatility in forward markets. Journal of Derivatives and Hedge Funds (formerly Derivatives Use, Trading and Regulation), 11(2), pp. 105–125. Alizadeh, A. and Nomikos, N. (2004). A markov regime switching approach for hedging stock indices. Journal of Futures Markets, 24(7), pp. 649–674. doi:10.1002/fut.10130 . Alizadeh, A. and Papapostolou, N.C. (2004). A review of Performance of High Yield Shipping Bonds. Lloyd's Shipping Economist, (April). Alizadeh, A.H., Kavussanos, M.G. and Menachof, D.A. (2004). Hedging against bunker price fluctuations using petroleum futures contracts: constant versus time-varying hedge ratios. Applied Economics, 36(12), pp. 1337–1353. Nomikos, N. and Alizadeh, A.H. (2004). Cost of carry, causality and arbitrage between oil futures and tanker freight markets. Transportation Research Part E: Logistics and Transportation Review, 40(4), pp. 297–316. Alizadeh, A.H. and Nomikos, N.K. (2004). The efficiency of the forward bunker market. International Journal of Logistics: Research and Applications, 7(3), pp. 281–296. Alizadeh, A.H. and Nomikos, N.K. (2003). The price-volume relationship in the sale and purchase market for dry bulk vessels. Maritime Policy & Management, 30(4), pp. 321–337. doi:10.1080/0308883032000145627 . Alizadeh, A.H. and Nomikos, N.K. (2003). Bunker Risk Management Using Forward and Swap Contracts. Lloyd's Shipping Economist, 37681(March). Alizadeh, A. and Nomikos, N.K. (2003). Do FFAs provide good forecasts? Lloyd's Shipping Economist, 37956(December), pp. 32–34. Alizadeh, A.H. and Kavussanos, M.G. (2002). Efficient pricing of ships in the dry bulk sector of the shipping industry. Maritime Policy and Management, 29(3), pp. 303–330. Alizadeh, A. and Kavussanos, M.G. (2002). Seasonality patterns in tanker spot freight rate markets. Economic Modelling, 19(5), pp. 747–782. Alizadeh, A.H. and Kavussanos, M.G. (2002). The expectations hypothesis of the term structure and risk premiums in dry bulk shipping freight markets. Journal of Transport Economics and Policy, 36(2), pp. 267–304. Alizadeh, A.H. and Kavussanos, M.G. (2001). Seasonality patterns in dry bulk shipping spot and time charter freight rates. Transportation Research Part E: Logistics and Transportation Review, 37(6), pp. 443–467. Alizadeh, A.H., Strandenes,, S.P. and Thanouplolou,, H. Decision to Lay-up under the assumption of stochastic freight rate and volatility. .
Alizadeh, A.H. and Talley, W.K. Dynamics of the Forward Curve and Volatility of Energy Futures Prices. SSRN Electronic Journal. doi:10.2139/ssrn.1698159 . Alizadeh, A.H. and Adland, R. What determines the differential between timecharter rates and FFAs? Transportation Research Part E.
Alizadeh-Masoodian, A.H., Thanopoulou, H. and Strandenes, S. Capacity adjustment decisions in the service industry under stochastic revenue: the case of the shipping industry. .
Alizadeh-Masoodian, A.H., Marsh, I. and Huang, C.-.Y. Modelling the Volatility of TOCOM Energy Futures: A Regime Switching Realised Volatility Approach. .
Alizadeh, A.H. and Nomikos, N.K. (2005). Agricultural Reforms and Use of Market Mechanisms for Risk Management..
Alizadeh-Masoodian, A.H., Marsh, I. and Huang, C.-.Y. (2018). Modelling the Volatility of TOCOM Energy Futures: A Regime Switching Realised Volatility Approach. Alizadeh, A.H., Adland, R. and Fusai, G. (2017). A New Ship Valuation Model based on Spread Option Pricing Approach. Alizadeh, A.H. and Abouarghoub, W. (2017). A Regime Switching Approach for Forecasting Short and Long Term Dry Bulk Freight Rates. Alizadeh-Masoodian, A.H. and Tamvakis, M. (2017). Speculators or Hedgers, Who Drives the FFA Market? Alizadeh-Masoodian, A.H. and Xiaolin, S. Dry bulk freight rates hedging using Conditional Value-at-Risk and buffered Probability of Exceedance. Maritime Business Review, Member of Editorial Board, 2016 – present. Multinational Finance Journal, Associate Editor, 2014 – present. Logistics, Member of Editorial Board, 2013 – present. Transportation Research Part E: Logistics & Transportation Review, Member of Editorial Board, 2010 – present. Maritime Policy and Management, Member of Editorial Board, 2005 – 2008. Journal of Banking and Finance, Energy Journal, Energy Economics, Journal of Transport Economics and Policy, Transportation Research Part E, Journal of Empirical Finance, International Review of Financial Analysis, Multinational Finance Journal, and many others, Referee, 2002 – present. Iran's resurgence and its impact on shipping markets. (Seminar) London (2016). Invited speaker. LMS on One Belt One Road. (Conference) Hong Kong (2016). Invited speaker. Global Shipping Trends & Trade Patterns. (Public lecture) London, UK (2015). IAME Conference. (Conference) Malaysia (2015). IAME 2014. (Conference) Norfolk, Virginia. USA (2014). IAME 2014. (Conference) Norfolk, Virginia, USA (2014). IAME 2014. (Conference) Norfolk, Virginia USA (2014). UNIST Research Seminars. (Seminar) (2014). Invited speaker. ODU Maritime Institute Speaker Series at Nauticus. (Public lecture) Norfolk, Virginia, USA (2009). Invited speaker. Energy Risk. (Conference) (2007). Invited speaker. Hong Kong Shipowners Association. (Seminar) Hong Kong (2006). Invited speaker. International Association of Maritime Economists. Limasol, Cyprus (2005). Multinational Finance Society Conference. (Conference) Istanbul, Turkey (2004). International Association of Maritime Economists. Izmir, Turkey (2004). European Financial Management Association. Basel, Switzerland (2004). Multinational Finance Society Montreal, Canada (2003). Multinational Finance Society. Montreal, Canada (2003). International Association of Maritime Economists. (2003). 23rd International Symposium on Forecasting. Yucatan, Mexico (2003). Multinational Finance Society conference. Paphos, Cyprus (2002). International Conference on: Modelling Structural Breaks, Long Memory and Stock Market Volatility. Cass Business School, London (2002). WTCI conference. South Korea (2001). IMAE conference. Hong Kong (2001). Research Seminar. City University Business School, London (2000). IMAE conference. Naples, Italy (2000). Australasian Finance Conference. Sydney, Australia (2000). International Conference on World Shipping Markets Facing the 21st Century and International Maritime Statistics Forum (IMSF). Shenzhen, China and Cardiff, UK (1998). Recent Development in Ship Finance and Newbuilding Market. London International Shipping Week, ICS (2017). Invited Speaker at the London International Shipping Week, ICS, . El Gran Canal: Nicaragua's $50bn shipping canal could boost economy but serious concerns remain. (2015) IB Times (website). The Batltic Dry Index: Shipshaped or Shipwreked ? (2015) Barrons, Dow Jones. Economic eyes again turn to the Baltic Dry Index. (2014) Marketplace Economy. Trends in Oil Prices. (2012) The National UAE. Porte aperte anche nei big industriali. (2010) Corriere Della Sera. Bygg videre pa erfaringen i bedriften. (2006) Origo. Bridging the Skills Gap. (2006) Our Word Our Bond.